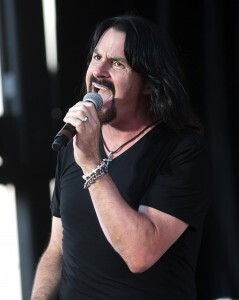 This month’s featured artist, Tommy DeCarlo, is the current lead singer for the band BOSTON. Going from everyday dad with a job at his local Home Depot, to singing lead for his favorite band BOSTON later in life- this is my favorite client story to date. He is the most relatable rockstar that I’ve ever met. Tommy has produced 3 full songs with the StudioPros production team. Although Tommy has access to some of the best musicians in the industry, he still choses to collaborate with StudioPros on his original music. 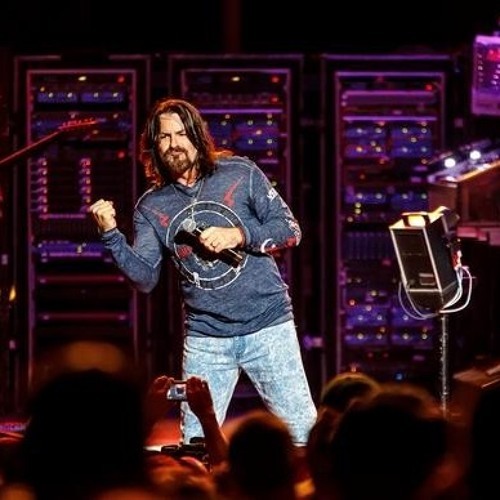 Even with a busy tour schedule and life on the road, Tommy collaborates with StudioPros as long as there is an internet connection. I enjoy having a quick chat with him between rehearsals prepping for tour or when he’s on the road between shows as we discuss the next steps in the production process. I first got involved with StudioPros when I was working on an original song project and needed help getting it produced. I did a simple search online and came across their site. I was pleasantly surprised with what they offered in the way of music production. It was incredibly easy working online with StudioPros. The site is very user friendly, fun and exciting! Becoming the lead singer of the band BOSTON truly was not a dream come true! My dream come true was to see them in concert with my son….which we were planning on in 2007. While awaiting the release of their tour dates, I learned about the unfortunate passing of original lead singer Brad Delp. In the months following I also learned of a tribute show in which Boston would be performing as a tribute to their late lead singer. I contacted the band through email, attached an mp3 of myself singing one of their many hits and offered to sing at the tribute show, never thinking in a million years they’d respond. To my amazement they did! Not only did I sing at the tribute show but I’ve been with them ever since. I couldn’t be more thankful to Tom Scholz for the opportunity he’s given me to be a part of my favorite rock and roll band BOSTON! As a musician I usually start a project with the thought that I can do everything myself. At some point you have to be realistic with yourself and realize your limits be it musically, technically or creatively. I must admit I was a bit apprehensive about my first project using StudioPros but when I heard what they did with my tracks, and how professional they sounded, I knew I (and my music) were in good hands! Life is full of inspirational moments. It’s a blessing when you can take something from those moments and turn them into a song. Most of my writing comes from life experiences. If I can offer a little advice for anyone seeking to write their own songs, don’t be afraid to write from the heart. It’s nice to write songs that please others, but please yourself first. Stay true to who you are as an artist. Oh, and contact StudioPros when you’re ready to record your first song. Currently I’m getting ready to hit the road again with BOSTON, however, I also have another band DECARLO which I started with my son Tommy Jr.